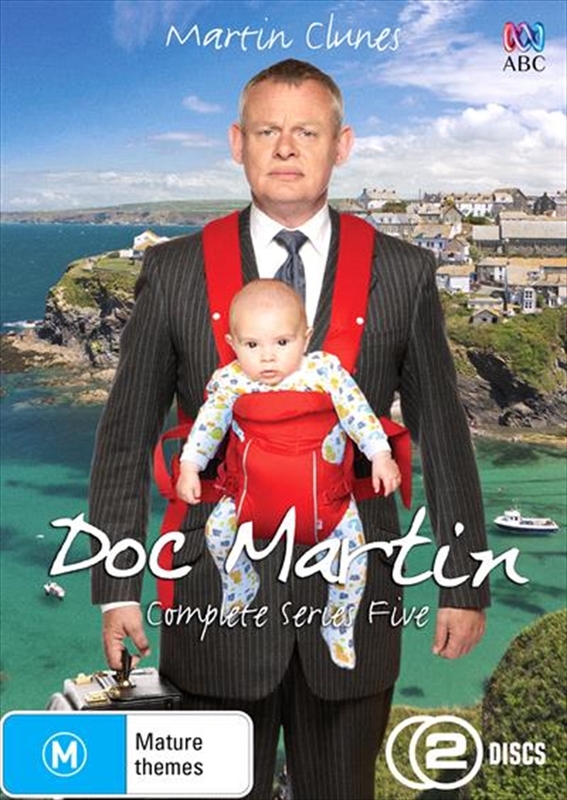 All eight episodes from the fifth series of the well loved comedy drama starring Martin Clunes as the truculent Dr Martin Ellingham, whose bad manners cause continual consternation in the picturesque Cornish village of Portwenn. In this series, the arrival of a new doctor fails to take the pressure off Dr Martin. Not only does Diana Dibbs (Joanna Scanlan) misdiagnose any number of patient ailments, but she doesn't appear to be in the best of health herself. The episodes are: 'Preserve the Romance', 'Dry Your Tears', 'Boho With a Shotgun', 'Mother Knows Best', 'Remember Me', 'Don't Let Go', 'Cats and Sharks' and 'Ever After'.